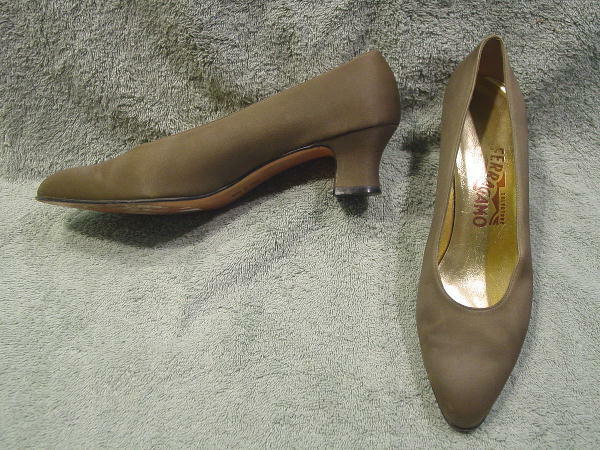 These low luster sheen fabric light cocoa-olive pumps are by Salvatore Ferragamo and were made in Italy. 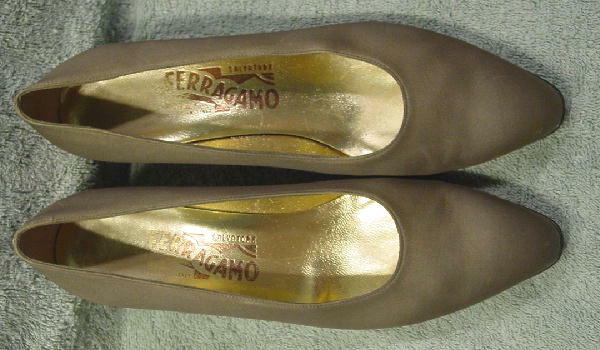 There are leather soles and gold-tone leather linings and insoles. The right shoe toe has a very small lighter spot near the toe tip and three darker lines on the tip by the sole and the left inner top tip has a scuff mark. 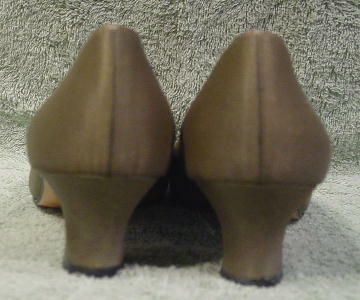 The right shoe has an angled lighter line mark on the outer back side which is probably a scuff mark. Both shoes have slight wrinkles on the inner vamp sides. They have modified pointed toes.